The following numbers represent the current Foreclosure Sold Inventory data as well as the current “Active” and “Sale Pending” data for Bank Owned (REO) properties in Danville for the month of June 2011. There are 9 single family homes currently active/pending with a high price of $1,657,500 and a low price of $456,000. There are 8 attached homes currently active/pending with a high price of $474,900 and a low price of $172,900. Keep in mind that the Sold Price Data versus the List Price Data does not reflect any price reductions which may have occurred. Please call for more detailed information regarding the current Foreclosure/REO market in Danville. 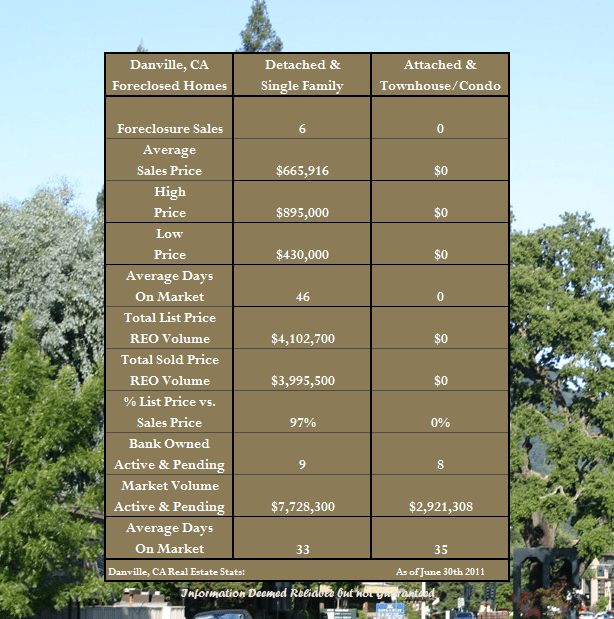 Share the post "Foreclosure Activity in Danville for June 2011"